Meretz MK Nitzan Horowitz plans to introduce legislation that would allow full bus transportation on Shabbat. While Meretz MK Nitzan Horowitz on Monday plans to file a law for approval by the Ministerial Law Committee of a bill that would allow for mass public transportation to operate on Shabbat, local Meretz activists are planning a series of actions to override existing laws, essentially building their own Shabbat bus service in the Tel Aviv area. As a first foray into establishing mass public bus service on Shabbat, Meretz activists operated a bus between Hod Hasharon and Kfar Sava in the Sharon area on Saturday. The bus picked up and dropped off passengers at several shopping centers in both towns. There was no charge for the service. This is not the first time Meretz has operated Shabbat buses, and it plans to revive, at least for the summer, two other lines that have operated in the past: A line from Kfar Sava and Raanana to central Tel Aviv, and another one to the beach areas of Herzliya. In addition, Meretz said that its attorneys were investigating legal ways to override the ban on Sabbath transportation, part of the long-standing “religious status quo” arrangement between secular and observant Israelis. Horowitz's law seeks to strike down the ban on Shabbat buses on the basis that it violates Basic Laws on freedom of commerce. While Israel does not have a constitution, the Basic Laws are used by the Knesset and High Court as the basis of legislation for personal and social rights in Israeli society. The Committee is not expected to approve the bill. 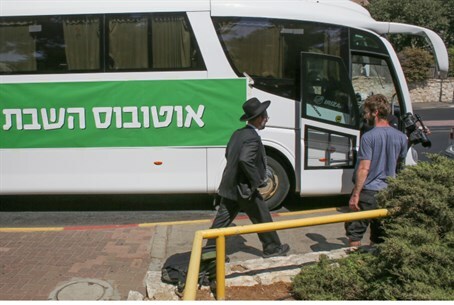 Previous attempts by Meretz to operate Shabbat buses have not always succeeded as the party expected.